Madison Keys is one of the upcoming stars on the WTA Tour and many experts believe that she will be a Top10 player soon. 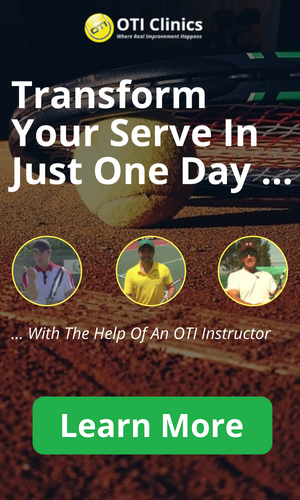 I was actually part of her coaching team at the Evert Tennis Academy a few years ago and in this article I hope to give you some interesting insights to her game and development as a young tennis player. Madison possesses a very powerful game. Check out these highlights of her match against Top10 player Li Na! As you can see Madison is the real deal when it comes to talented young tennis players. I believe she has the capability to become one of the world’s best players quite soon! As usual I will take a quick look at her junior career and then I will analyze her game in-depth. Keys talent as a young tennis player became obvious at a very young age. When I hit with her at the age of 12/13, she was already hitting the ball as hard as some of the professional WTA players that I also hit with on a regular basis. As a junior player she reached a career high ranking of number 35 in the world in 2009. She certainly could have been ranked a lot higher but it appears that her parents did not focus on having her travel all over the world to play junior Tennis tournaments, which was a very smart decision in my opinion. That being said, she still had some exceptional highlights as a young player though. Madison is one of the youngest players ever to win a match on the WTA tour. At the age of 14 she beat Top100 player Alla Kudryavtseva in an official WTA tournament. She also became quite famous for beating Serena Williams in a World Team Tennis tournament also at the age of 14! As a professional tennis player, she has progressed gradually and seems to be breaking through into the world’s elite in 2013. As of February 2013 she is ranked number 83 in the world with a relatively limited playing schedule. Madison has a huge game with which she can hurt any opponent. She is a natural athlete with about as much god given talent as someone could have! Madison hits a solid forehand and nevertheless it is not her strongest shot. She can hit the ball hard and she can hit winners when she has enough time but the shot can be vulnerable under time pressure! 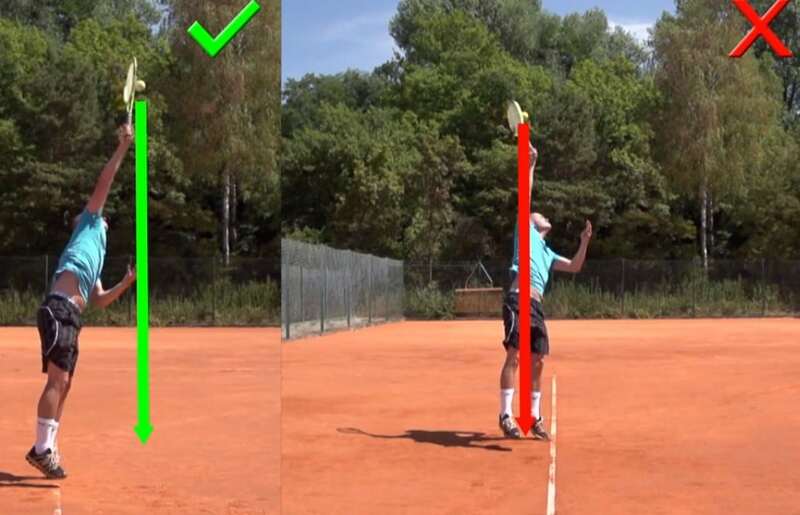 There are two main reasons for this slight weakness on the forehand side. She has a huge swing that goes behind her back and takes a lot of time to complete. Therefore, when opponents hit really fast shots into her forehand, she oftentimes has no other option then returning the ball high and taking speed off of the shot. Additionally, Madison, like so many other female professional players, does not make good use of the wrist and forearm muscles. She lays the wrist back quite early and therefore does not make good use of the so-called stretch shortening cycle. Madison hits an excellent backhand. From a technical standpoint this is certainly her best shot. She starts with a very quick and compact unit turn. It is a very efficient movement at the beginning of the swing to get the racket into the slot position without any unnecessary movements! This efficient technique allows her to generate most of the power from her body and additionally she can take balls early and surprise her opponents quite often! Oftentimes Madison goes for big shots when she returns second serves with her backhand and her backhand down the line is also extremely dangerous. A rather unusual shot is her backhand inside-out, which she hits from the middle of the court to the forehand corner. Most players would hit forehands in that situation but Madison makes use of her stronger backhand side quite often from the middle of the court! Madison rarely hits a slice backhand and she doesn’t really have a reason to hit many slice backhand shots because of how good her two-handed backhand is. Nevertheless, it would of course be beneficial for her to work on a good defensive slice backhand and also a slice backhand approach so that she can continue to develop her game and become a more complete player! I really haven’t seen Madison at the net enough in recent matches to make a real judgement of her net skills. Nevertheless, several years ago when I practiced with her, she had pretty solid volleys and was not afraid to use them. In my opinion, Madison already has one of the best serves on tour. She can serve with inredible power and also mixes up her serving locations quite well. She has a very fluid serve motion, which is one of the essentials to a great serve. Her racket builds up speed slowly but surely and really accelerates to contact. I believe Madison could improve that serve even more if she turned away from the target a bit more in order to turn the shoulders more compared to the hips. Almost all great servers in history do that and it would probably add a few more miles per hour, which is a scary thought for her opponents! Keys second serve is still a bit weak at times. This is not a matter of technique though. I believe she simply needs to focus on going for a bit more on those second serves. Overall an excellent serve and I believe this could end up being one of the most dominant serves in Tennis after Serena Williams! Madison Keys is an aggressive baseline player. She is not afraid to go for winners and likes to be on offense as much as possible. Several years ago she was already hitting the ball incredibly hard and I knew that once those shots started to find the court more often, she would have a big breakthrough on the WTA tour. Overall she plays a tactical style that fits her abilities and the fact that she plays so aggressive and fearless really opens up the possibilities for her to win Grand Slam titles in my opinion! Madison is an extraordinary athlete. She is tall and strong, which is about the best combination you can have for Tennis! I was fortunate enough to be one of her coaches while she was 12 and 13 years old. At the time I could not believe how hard she was hitting the ball. This was of course largely due to the unbelievable natural strength that she possesses. She is still quite a bit away from being one of the better movers on the WTA tour but that is only natural at this young age. It takes years of strength training for the legs to be at a Top10 level, which is why we don’t see 15 year old players in the Top50 anymore like we did several years ago. I believe Madison will continue to improve her movement and because of her natural strength she will soon be an excellent mover in relation to her height! Madison has what it takes to become a true champion. She already possessed that champion-like attitude when I practiced with her at the age of 13! Like so many great champions, she appears slightly introverted and has an extraordinary ability to focus on the tennis court. She is extremely competitive but has a good sense of humor as well which I believe keeps her relaxed. Check out this interview that reveals a bit of her personality. She appears to have a strong belief that she will one day be one of the best if not the best tennis player in the world and that is something quite extraordinary. I expect Madison to be a Top10 and Top5 player throughout her career and definitely a Grand Slam contender. I would not be surprised at all if she ends up winning quite a few Grand Slam titles! So what can she improve ? The most obvious thing would be her forehand. Shortening the motion and learning to use her wrist more efficiently would be a huge improvement. That being said I believe it is very unlikely that one of her coaches will touch her technique at this point. Her forehand is certainly solid enough to become a Top10 player. Caroline Wozniacki was number 1 in the world with a similar forehand issue. Additionally, Madison Keys needs to become an even better mover around the court to really fulfill her potential, but I am sure she will achieve that in the next few years!